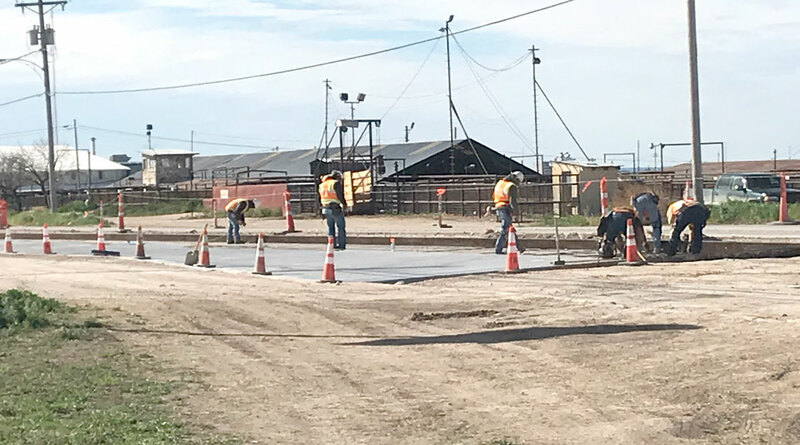 SAN ANGELO, TX – The reconstruction of the roadways on Bell St. has made major progress. The $22.2 million project that is set to completely redo the busy road has started pouring in concrete just north the Old Ballinger Highway. 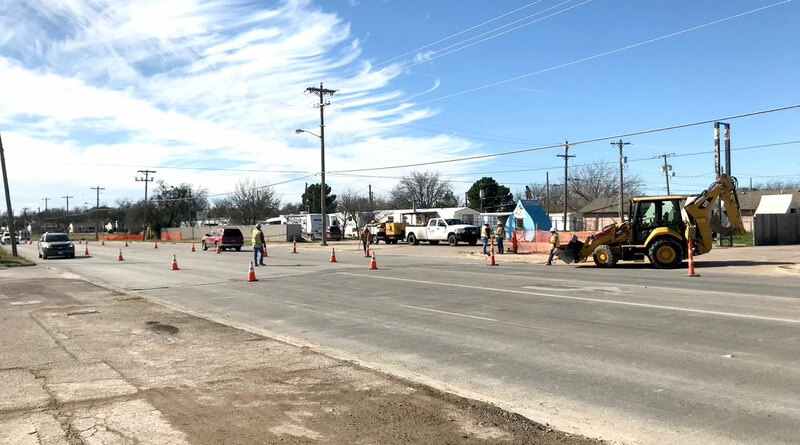 The members of Reece Albert, Inc. have placed cones and started marking off spots for the renovation in the 300 block of Bell St., just past Pulliam St.
New water, sewer, and utility lines were placed underneath Bell St. Now they begin the renovation of the road itself. Traffic is still able to go through the street, but it is down to one lane each way. Though progress has been made, the project is estimated to last until late 2022. The Rodeo is here with many people visiting from out of town. To a city where roads are in very much need Repair. Not just one specific road but to many to count. I am not sure what the Mayor and City Council are doing but it appears not much. Bell Street is underway and soon College Hills but more needs to be done. The area around the Police Station has many pot holes. The Police need our support as many people do drive around there due to the park and old Fire House. Rio Concho Drive is very much need of repair as many tourist travel the Concho River. The area around the Main Post Office needs repair. Many pot holes around the city. I could go on and on but I feel I am wasting my time. Now I understand the last mayor was too busy with The Trash Can Deboggal of taking trash cans from good alleys to now being pick up in the streets where debris get left behind and the wind picks it up. . Now the lack of pavement of the streets started under that Snake Hat Mayor but this Lady Mayor seems to care more about downtown where her business is than looking out for San Angelo. More and more streets are in disrepair. Not to mention the yards with overgrown weeds and allowing cars to be parked in the yards. San Angelo has ordinances that are law with fines. What is happening to San Angelo? Does anyone not do their job nymore!!!!!!!!!!!!!!! Where is the City Counsel? Are they not looking out for their districts by at least driving the neighborhoods and reporting what they see to appropriate departments. Tired of seeing San Angelo not being appreciated by its politicians and citizens.